The foundation of Sofronitsky's artistic career was laid down under the tutorship of the legendary professor of the Leningrad conservatoire Leonid Nikolayev. Notwithstanding their complicated relationship and some controversial pronouncements of the student about his teacher there's no doubt about it. Nikolayev was unique in developing his students' talents and inclinations by putting a diverse repertoire into their hands. No wonder he reared so many outstanding musicians. Sofronitsky graduated from the Conservatoire in 1921.The same year Maria Yudina who was also Nikolayev's student graduated from it too. For Sofronitsky every recital was a unique act of creation of music and co-authorship with a composer. It did not always result in an absolutely perfect performance. In the last years of his life Sofronitsky suffered from poor health and sometimes had to interrupt his recitals. Yet the audience was always looking forward to listening to him. Even a failure of a genius was immeasurably higher than a success of a mediocre musician. Most of Sofronitsky's extant recordings are the live ones, made in concert halls as well as in the Scriabin's Memorial Museum in Moscow. Sofronitsky's attitude to the recording was apparent from his restless zetetic character. "It is most useful to listen to himself on gramophone. It endows a performer so much", he said. Sofronitsky often made his recordings not at special sessions in studios but as he was playing music in an easy way. That's why some of these recordings technically are not perfect. Scriabin's flat (now Memorial Museum) at the old Moscow region of Arbat was a real home for Sofronitsky. It was there that his audience used to gather to listen to his recitals. It was in this house that his idol figure, Alexander Scriabin, lived and died in 1915. 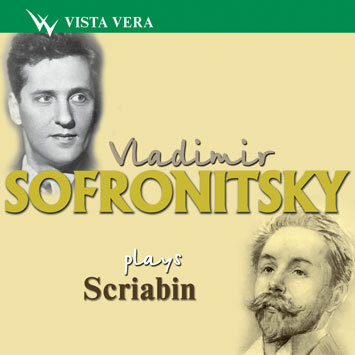 Sofronitsky maintained very special professional and family ties with Scriabin as he married one of his daughters. Sofronitsky's interpretations of Scriabin's probably appear as the musician's highest achievement and his main message to the music-lovers. Sofronitsky's repertoire embraced the music of all epochs. However in his legacy one can clearly sense the dominating disposition towards romanticism. Works by Beethoven, Schubert, Schumann, Shopin, Liszt, Rachmaninov were among Sofronitsky's outstanding artistic achievements.